When I last visited the local supermarket, I saw this – hundreds of food brands. The instant noodles shelf had at least 10 brands if not more. I can only imagine how tough the F&B marketer’s job must be to ensure that their product stands out. No matter how well you play with packaging design, pricing, or promise of quality, there is only one strategy that works the best in the long-term – customer loyalty. Customer loyalty is built via trust and trust is built via customer engagement. With so much competition, brands must differentiate themselves through regular customer engagement such as providing useful information or entertainment. But how to accomplish this? 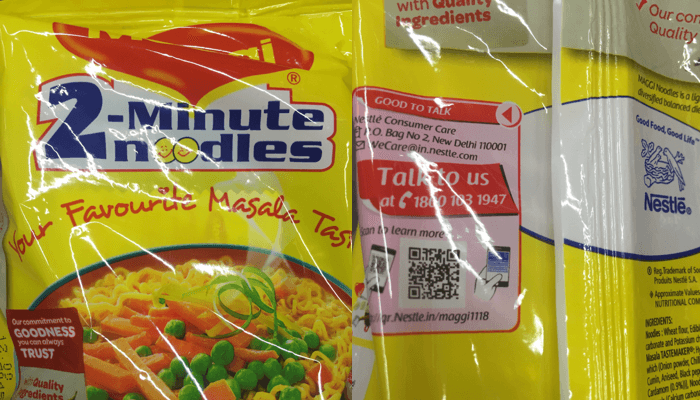 One easy way is to use QR Code-based customer engagement campaigns on product packaging. For example—in 2016, Nestle Kitkat added QR Codes on its chocolates. These QR Codes, when scanned, redirected users to watch YouTube video while they took a break. Other than marketing, QR Codes help engage customers in multiple ways across various industries. The consumer is not only smarter but also choosier than ever. With changing lifestyles and increasing number of chronic diseases, consumers are careful about what they eat and demand complete information about a food product. Is this high in sugar? Does it have nuts? Is this gluten-free? These are common questions asked by shoppers to confused retailers. You can easily address these questions by adding a QR Code that leads to detailed information about the product. You can ‘delight’ your customers by suggesting recipes for the food item that you are selling. You don’t want consumers to use your product incorrectly and then never buy it again. 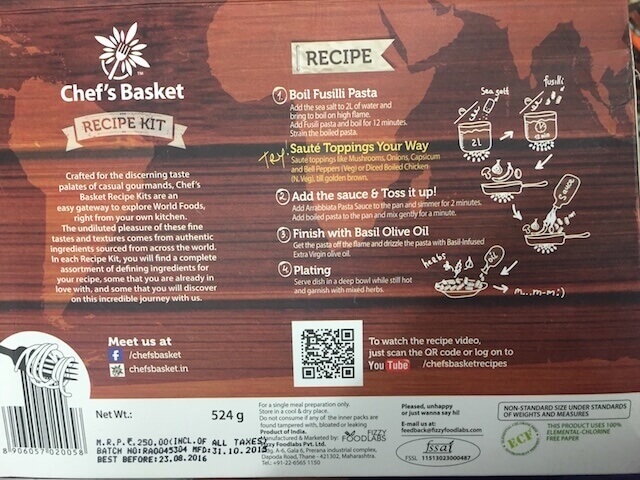 Chef’s Basket added a QR Code to its pasta box which leads consumers to a recipe video. Do consumers already like your food product and are loyal to you? Make them discover other food items that you sell but they are not aware of. 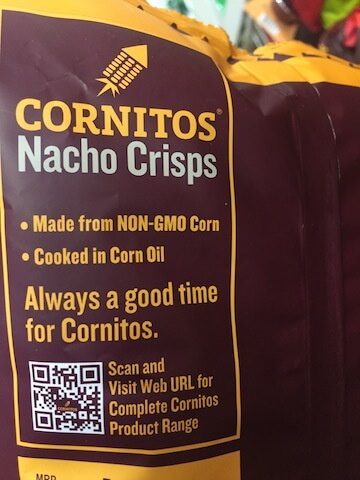 Cornitos Nacho Crisps added a QR Code that leads consumers to the complete Cornitos product range. Enterprise F&B brands, such as Nestle, Coca-Cola, etc. typically run social campaigns to build their brand image. However, the awareness of the campaigns is either at ground zero or in the annual report that hardly anyone reads (except some shareholders and analysts, maybe). Food brands can use their packaging to get shoppers to learn more about their initiatives. This will help build trust and eventually customer loyalty. 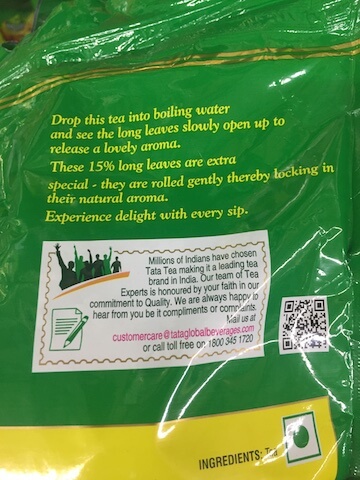 Tata Tea, a popular tea brand in India, added a QR Code on its packaging to redirect users to its Jaagore Consumer Rights campaign. The advantage of using a QR Code is that it takes limited space and is very cost-effective. 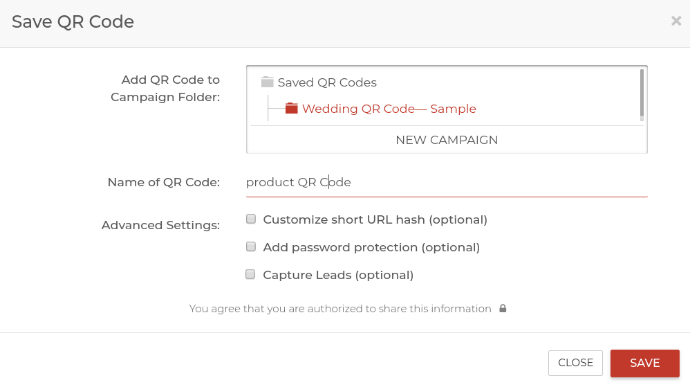 A QR Code campaign can be managed and tracked using an online QR Code Management tool. Languiru—Brazil’s second largest dairy producer uses product QR Codes to improve product traceability. 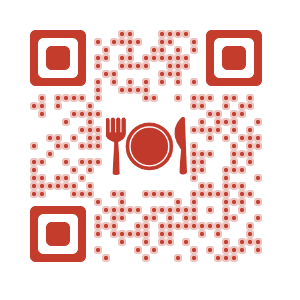 How to create a Food and Beverage QR Code? 5. Once you’ve added all the details, you can see how the landing page will look like. To do this, click View landing page preview. That’s it. 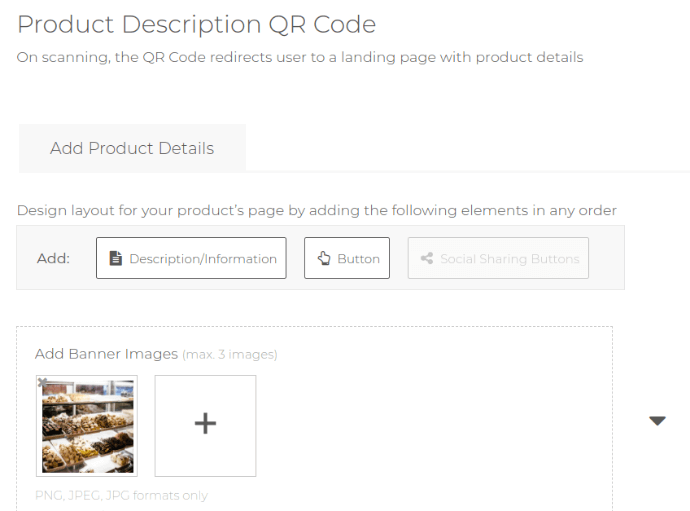 Now that you have the QR Code, you can add it to your product packaging. Note that you can also download the vector image of QR Code (SVG, EPS, etc.) 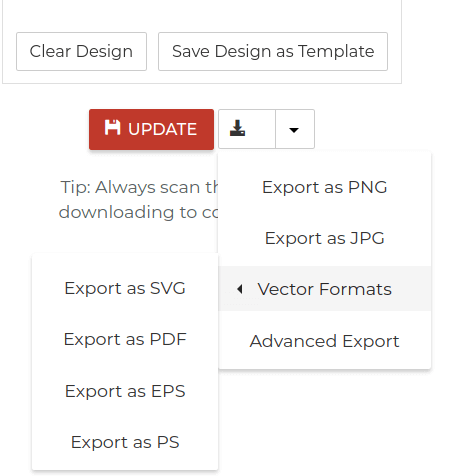 using Advanced Export Option. Marketers – get started now and start engaging your customers to differentiate yourself in the crowded supermarkets. Create a visually-appealing and dynamic QR Code for your campaign to attract more scans.